Whether you are planning a meeting or a social event, Harlys Residence is the ideal venue for your next event. 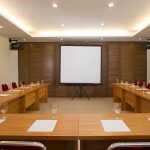 Our meeting room facilities include modern technology, complimentary WiFi, and air conditioning. We have full board, full day and half-day meeting packages available. 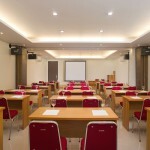 All packages include free use of Flipchart, screen, projector, microphone, sound system, memo pads, pencils & beverages. Contact us today and we would be delighted to discuss your event needs and arrange a time to show you around our hotel.